We are pleased to be appointed agents for SMS who are quickly becoming one of the most progressive & capable British shipbuilders. We will be rolling out the range of vessels built and in build over the coming months and welcome interest in these and new designs vessels and structures up to 60m. British built- professionally engineered. The Bulldog 20m is our flagship workboat. It is the largest in the range and has been designed to provide a robust working platform for a variety on inland, harbour and coastal duties, including harbour maintenance, towing, pushing, cargo transport, buoy and anchor handling and dredging support. 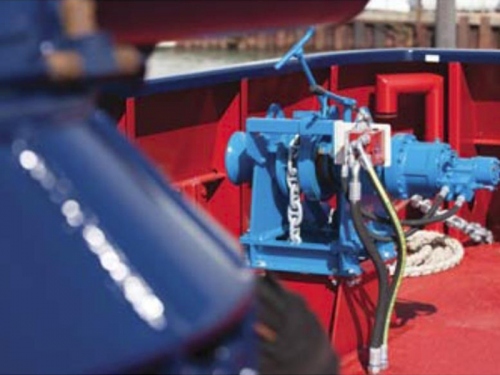 The vessel features pushing knees forward an optional 15t SWL towing hook aft, optional deck winch, 48.7t/m crane and a substantial free deck area rated to a loading of 10t/ m square. Accomodation, mess and sanitary facilities are provided for a crew of four. In addition the hull houses a workshop and store space. 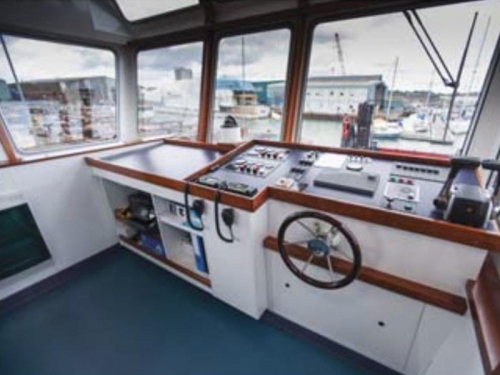 The vessel is engineered to meet all the requirements of the MCA Work Boat Code for category 2 waters and Lloyds special service craft Rules. SMS, as builders of the Bulldog range are able to offer unique financing solutions in – house.